Welcome to RIPPEDience!! “RIPPEDience” also referenced herein as “Company” is the licensed operator of the www.rippedience.com site (the “Site”), and the licensed operator of the RIPPEDience mobile application (the “App”), and may act as a shipping facilitator for other companies products advertised on our site, social media outlets, or other online or print advertising (the “Store”). You may use the Site and the App only for your own noncommercial personal use and in compliance with these Terms. You are responsible for your own communications, including the transmission, uploading or posting of information to the Site or the App and are responsible for the consequences of such communications. Any other use of the Site or the App requires the prior written consent of RIPPEDience. You may not otherwise copy, modify, or distribute the contents of this Site or the App without the prior written consent of RIPPEDience. You may not modify, publish, transmit, participate in the transfer of, sell, create derivative works from, or in any way exploit any of the content found on the Site or the App, in whole or in part. You may not use spiders, robots, data mining techniques or other automated devices or programs to catalog, download or otherwise reproduce, store or distribute content available on the Site or the App. Further, you may not use any such automated means to manipulate the Site or the App, such as automating what are otherwise manual or one-off procedures. You may not take any action to interfere with, or disrupt, the Site or the App or any other user’s use of the Site or the App, including, without limitation, via means of overloading, “flooding”, “e-mail bombing” or “crashing” the Site or the App, circumventing security or user authentication measures or attempting to exceed the limited authorization and access granted to you under these Terms. You may not frame portions of the Site or the App within another web site. You may not resell use of, or access to, the Site or the App to any third party without the prior written consent of RIPPEDience. If you wish to purchase any product or service made available through the Site and the App (each such purchase, a “Transaction”), you may be asked to supply certain information relevant to your Transaction including, without limitation, your credit card number, the expiration date of your credit card, your billing address, and your shipping information. You represent and warrant that you have the legal right to use any credit card(s) or other payment method(s) utilized in connection with any transaction. By submitting such information, you grant to RIPPEDience the right to provide such information to third parties for purposes of facilitating the completion of Transactions initiated by you or on your behalf. Verification of information may be required prior to the acknowledgment or completion of any Transaction. All descriptions, images, references, features, content, specifications, products, and prices of products and services described or depicted on the Site and the App are subject to change at any time without notice. Certain weights, measures, and other descriptions are approximate and are provided for convenience purposes only. The inclusion of any products or services on the Site and the App does not imply or warrant that these products or services will be available. It is your responsibility to ascertain and obey all applicable local, state, federal, and international laws (including minimum age requirements) in regard to the receipt, possession, use, and sale of any item purchased from this Site and the App. By placing an order, you represent that the products ordered will be used only in a lawful manner. RIPPEDience reserves the right, with or without prior notice, to do any one or more of the following: (i) limit the available quantity of or discontinue any product or service; (ii) impose conditions on the honoring of any coupon, coupon code, promotional code, or other similar promotion; (iii) bar any user from making or completing any or all Transaction(s); and (iv) refuse to provide any user with any product or service. You agree that by placing an order on the Site or the App, you are entering into a binding contract with RIPPEDience and agree to pay all charges that may be incurred by you or on your behalf through the Site and the App, at the price(s) in effect when such charges are incurred including, without limitation, all shipping and handling charges. In addition, you remain responsible for any taxes that may be applicable to your Transactions. 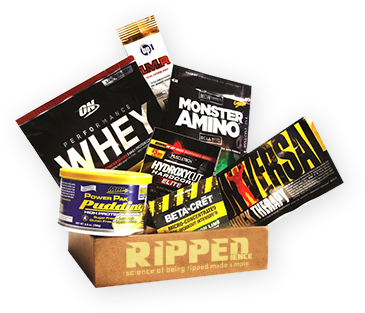 RIPPEDience offers various subscription types: including recurring monthly subscriptions (“Monthly Subscriptions”); prepaid annual subscriptions (“Annual Subscriptions”); and prepaid gift subscriptions of three, six or twelve months (“Gift Subscriptions”). With respect to RIPPEDience’s subscriptions subject to automatic renewal, you agree that RIPPEDience may submit periodic charges (e.g., monthly) to your chosen payment method without further authorization from you, until you provide prior notice that you wish to terminate this authorization or to change your payment method. You agree that such notice will not affect charges submitted before RIPPEDience reasonably could act. By purchasing a Monthly Subscription, you agree and acknowledge that your subscription has an initial and recurring payment charge at the then-current subscription rate and you accept responsibility for all recurring charges prior to cancellation, including where applicable any charges processed by RIPPEDience after the expiration date of your payment card. To cancel your Monthly Subscription at any time, you may (i) logon to your account and follow the cancellation procedures there, (ii) send us a message at http://www.rippedience.com/contact-us/ and we will do it for you, or (iii) schedule a call with one of our specialists who can help you cancel. If you cancel, you may use your subscription until the end of your then-current subscription term. By purchasing an Annual Subscription, you agree and acknowledge that your subscription has an initial pre-payment feature for one full year of service and a recurring Annual Subscription renewal fee at the then-current Annual Subscription rate and you accept responsibility for all recurring charges prior to cancellation, including where applicable any charges processed by RIPPEDience after the expiration date of your payment card. You may only cancel your current Annual Subscription during the first month of the subscription. To cancel your Annual Subscription renewal for the following year, at any time after you were billed for the then-current year, you may (i) logon to your account and follow the cancellation procedures there, (ii) send us a message at http://www.rippedience.com/contact-us/ and we will do it for you, or (iii) schedule a call with one of our specialists who can help you cancel. By agreeing to participate in the a Auto-Delivery Program to replenish your health and fitness supplement supplies, you agree and acknowledge that your participation in the program has an initial and recurring payment charge at the frequency chosen when you signed up in the amount of the then-current retail price of your selected product displayed on the Site or the App and you accept responsibility for all recurring charges prior to cancellation, including where applicable any charges processed by RIPPEDience after the expiration date of your payment card. To cancel your Automatic Delivery at any time, you may (i) logon to your Account page and follow the cancellation procedures there, (ii) send us a message at http://www.rippedience.com/contact-us/ and we will do it for you, or (iii) schedule a call with one of our specialists who can help you cancel. The Automatic Delivery Program is a Beta test Program (“Beta Program”). RIPPEDience reserves the right to change or discontinue this Beta Program. We may make these changes at any time, with or without notice. Your continued participation in the Beta Program will constitute your acceptance of the these terms and conditions, policies and service offerings. You also agree that RIPPEDience will own and have the sole right to use any ideas, information, understandings, and concepts derived from your evaluation of the Beta Program or any other suggestions or information you disclose, without restriction and without compensating you in any way. You acknowledge and agree that the content (other than content that may be submitted by Members), materials, text, images, videos, graphics, trademarks, logos, button icons, music, software and other elements available on the Site and the App are the property of RIPPEDience or our licensors and are protected by copyright, trademark and/or other proprietary rights and laws. You agree not to sell, license, rent, distribute, copy, reproduce, transmit, publicly display, publicly perform, publish, adapt, edit, modify or create derivative works from any content or materials on the Site or the App. RIPPEDience and the RIPPEDience logo are trademarks of RIPPEDience, LLC. All other trademarks are the property of their respective owners. All of our Site’s and the App’s content is Copyrighted by RIPPEDience, LLC. All rights reserved. Except as expressly set forth in these Terms, no license is granted to you and no rights are conveyed by virtue of accessing or using the Site or the App. All rights not granted under these Terms are reserved by RIPPEDience. By submitting or posting any materials or content on the Site or the App, you grant RIPPEDience a perpetual, irrevocable, non-terminable, worldwide, royalty-free and non-exclusive license to use, copy, distribute, publicly display, modify, create derivative works, and sublicense such materials or any part of such materials. You hereby represent, warrant and covenant that any materials you provide do not include anything (including, but not limited to, text, images, music or video) to which you do not have the full right to grant RIPPEDience the license specified above. You further represent, warrant and covenant that any materials you provide will not contain libelous or otherwise unlawful, abusive or obscene material. RIPPEDience will be entitled to use any content submitted by you without incurring obligations of confidentiality, attribution or compensation to you. In addition, if you wish to share feedback with us about product selection, pricing, ordering, delivery or other customer service issues, please do not submit this feedback through a content submission. Instead, contact us directly via info@rippedience.com. You assume all responsibility and risk with respect to your use of the Site or the App. THE SITE, THE APP, AND ALL CONTENT, MERCHANDISE, AND OTHER INFORMATION ON OR ACCESSIBLE FROM OR THROUGH THIS SITE OR THE APP OR A “LINKED” SITE ARE PROVIDED ON AN “AS IS” AND “AS AVAILABLE” BASIS WITHOUT WARRANTY OF ANY KIND, EITHER EXPRESS OR IMPLIED, INCLUDING BUT NOT LIMITED TO THE IMPLIED WARRANTIES OF MERCHANTABILITY, FITNESS FOR A PARTICULAR PURPOSE, NON-INFRINGEMENT, SECURITY OR ACCURACY. SPECIFICALLY, BUT WITHOUT LIMITATION, RIPPEDIENCE DOES NOT WARRANT THAT: (1) THE INFORMATION ON THIS SITE OR THE APP IS CORRECT, ACCURATE OR RELIABLE; (2) THE FUNCTIONS CONTAINED ON THIS SITE OR THE APP WILL BE UNINTERRUPTED OR ERROR-FREE; OR (3) DEFECTS WILL BE CORRECTED, OR THAT THIS SITE OR THE APP OR THE SERVER THAT MAKE THEM AVAILABLE IS FREE OF VIRUSES OR OTHER HARMFUL COMPONENTS. OUR RESPONSIBILITY FOR DEFECTIVE PRODUCTS IS LIMITED TO REPAIR, REPLACEMENT OR REFUND. RIPPEDience makes no warranties of any kind regarding any non-RIPPEDience sites to which you may be directed or hyperlinked from this Site or the App. Hyperlinks are included solely for your convenience, and RIPPEDience makes no representations or warranties with regard to the accuracy, availability, suitability or safety of information provided in such non-RIPPEDience sites. RIPPEDience does not endorse, warrant or guarantee any products or services offered or provided by or on behalf of third parties on the Site or the App. Vendors, Manufacturers, and third party marketers (Vendors) are independent businesses and are solely responsible for the products, goods, and/or services to be provided under this Agreement, marketed and sold through this Site or App. Vendors advertise with other businesses under the name RIPPEDience, www.RIPPEDience.com, Sample All, www.SampleAll.com, Sample B 4, www.SampleB4.com, Sample Totality, www.SampleTotality.com, 1-844-4-RIPPED, Try It B4 U Buy It, www.TryItB4UBuyIt.com, FITience, www.FITience.com. Vendors are not affiliated with any other businesses advertising under the same names, except for the purposes of joint advertising services to the community and providing RIPPEDience with marketing and research data. The contents of this Agreement may be disclosed to all interested parties. RIPPEDIENCE DOES NOT REPRESENT OR WARRANT THAT THE NUTRITION, INGREDIENT, ALLERGEN, AND OTHER PRODUCT INFORMATION ON OUR SITE IS ACCURATE OR COMPLETE SINCE THIS INFORMATION IS PROVIDED BY THE PRODUCT MANUFACTURERS OR SUPPLIERS AND ON OCCASION MANUFACTURERS MAY MODIFY THEIR PRODUCTS AND UPDATE THEIR LABELS. WE RECOMMEND THAT YOU DO NOT RELY SOLELY ON THE INFORMATION PRESENTED ON OUR SITE AND THAT YOU CONSULT THE PRODUCTS LABEL OR CONTACT THE MANUFACTURER DIRECTLY IF YOU HAVE A SPECIFIC DIETARY OR ALLERGIC CONCERN OR QUESTION ABOUT A PRODUCT. Any information provided by us regarding the products or otherwise (e.g. product descriptions or instructions) is for informational purposes only. You should not take any action based upon any information contained on the Site or the App. Use of the Site or the App is not meant to serve as a substitute for professional advice. You should read and strictly follow all product labels, packaging inserts and instructions and all manufacturer directions and warnings and seek independent professional advice when appropriate, including an attorney’s advice in agreeing to and electronically singing and obligating yourself to this agreement. Nutritional products and supplements (hereinafter “Supps”) should only be consumed by healthy adults, 18 years of age or older. Keep all Supps away from children. Supps should not be used if you are pregnant, nursing, or are currently taking nitrates for chest pain, medication used to treat erectile dysfunction, or other medication. Before using any Supps you should consult a licensed, qualified, health care professional. There are risk factors associated with taking Supps, including but not limited to those combining Supps with other Supps or medication. Professional advice is especially recommended if you are on anti-depressants, blood thinners, nonsteroidal anti-inflammatory drugs, pseudoephedrine, or if you are taking any other dietary supplement, prescription drug or over-the-counter medication; or if, you suspect you have or have been treated for, diagnosed with or have a family history of, any medical condition, including but not limited to high or low blood pressure, diabetes, glaucoma, anxiety, cardiovascular, psychiatric or seizure disorders, cardiac arrhythmia, stroke, heart, liver, kidney or thyroid disease, or difficulty urinating due to prostate enlargement. Some Supps contain caffeine and should not be used by individuals wishing to eliminate caffeine from their diet or in combination with caffeine or stimulants from other sources, including but not limited to, coffee, tea, soda, or other dietary supplements and medications. Most Supps should be discontinued at least 4 weeks prior to surgery. Immediately discontinue use and contact a medical doctor if you experience any adverse reaction to Supps. Do not exceed recommendations for Suggested Use on Supps and do not combine Supps. Use all Supps only as directed after consultation with a licensed medical profession and only if approved by a licensed medical professional after consultation. Most, if not all Supps statements have not been evaluated by the Food and Drug Administration (FDA), and most, if not all Supps are not intended to diagnose, treat, cure, or prevent any disease. Some Supps contain Milk, Eggs, Soy, Wheat, Peanuts, and other products that you may be allergic to. Some Supps may not be suitable for asthma and allergy sufferers. We go one step further by telling you not to invest in any dietary supplement or product sold on this site without consent of your doctor. Do not trust any label or product claims. Do your own due diligence and research the product on this site for manufacturers’ claims and other websites on the internet and even calling the manufacturer directly to get more information about the product. We also recommend that you do your research and due diligence on each individual ingredient in each Supp product and make sure to understand how each Supp ingredient works in combination with other ingredients in that Supp or with other Supps or medications. We do not edit product claims. We only advertise manufacturers products based on their statements. Manufacturers are responsible for publishing their own claims. We do not review manufacturer statements for accuracy, or truthfulness. All products are sold as-is and you agree to hold RIPPEDIENCE harmless from any and all claims other than those discussed herein. Under no circumstance will RIPPEDIENCE be obligated to you for more than a refund amount for purchases from you within 30 days of your claim. No class action claims – It is understood and agreed that this provision and all other provisions shall be interpreted consistently with ordinary rules of contract interpretation and will not be subject to special considerations due to concerns invoked by waiver of class rights. THIS MEANS NEITHER PARTY SHALL HAVE THE RIGHT TO LITIGATE SUCH CLAIM IN AS A CLASS ACTION CLAIM. THIS MEANS NEITHER YOU NOR WE MAY JOIN OR CONSOLIDATE CLAIMS, OR LITIGATE ANY CLAIM AS A REPRESENTATIVE OR MEMBER OF A CLASS OR IN A PRIVATE ATTORNEY GENERAL CAPACITY. If a court of competent jurisdiction invalidates this provision allowing class action claims to exist then you agree that your class action claim can and will be limited solely to injunctive relief. IN NO EVENT SHALL RIPPEDIENCE, ITS PARENT COMPANY, SUBSIDIARIES, AFFILIATES OR ANY OF THEIR RESPECTIVE OFFICERS, DIRECTORS, EMPLOYEES, AGENTS, SUCCESSORS, SUBSIDIARIES, SUPPLIERS, AFFILIATES, OR THIRD PARTIES PROVIDING INFORMATION ON THIS SITE OR THE APP BE LIABLE TO ANY USER OF THE SITE OR THE APP OR ANY OTHER PERSON OR ENTITY FOR ANY DIRECT, INDIRECT, SPECIAL, INCIDENTAL, PUNITIVE, CONSEQUENTIAL OR EXEMPLARY DAMAGES (INCLUDING, BUT NOT LIMITED TO, DAMAGES FOR LOSS OF PROFITS, LOSS OF DATA, OR LOSS OF USE) ARISING OUT OF THE USE OR INABILITY TO USE THE SITE OR THE APP, WHETHER BASED UPON WARRANTY, CONTRACT, TORT, OR OTHERWISE, EVEN IF RIPPEDIENCE HAS BEEN ADVISED OF OR SHOULD HAVE KNOWN OF THE POSSIBILITY OF SUCH DAMAGES OR LOSSES. IN NO EVENT SHALL THE TOTAL LIABILITY OF RIPPEDIENCE, ITS AFFILIATES OR ANY OF THEIR RESPECTIVE OFFICERS, DIRECTORS, EMPLOYEES, AGENTS, SUCCESSORS, SUBSIDIARIES, SUPPLIERS, AFFILIATES OR THIRD PARTIES PROVIDING INFORMATION ON THIS SITE OR THE APP TO YOU FOR ALL DAMAGES, LOSSES, AND CAUSES OF ACTION RESULTING FROM YOUR USE OF THIS SITE OR THE APP, WHETHER IN CONTRACT, TORT (INCLUDING, BUT NOT LIMITED TO, NEGLIGENCE) OR OTHERWISE, EXCEED THE AMOUNT YOU PAID TO RIPPEDIENCE IN CONNECTION WITH THE EVENT GIVING RISE TO SUCH LIABILITY. You hereby acknowledge that the preceding paragraph shall apply to all content, merchandise and services available through the Site or the App. Because some states do not allow limitations on implied warranties or the exclusion or limitation of certain damages, all of the above disclaimers or exclusions may not apply to all users. Any merchandise purchased from our Site or the App may be shipped by a third party carrier. As a result, title and risk of loss for such merchandise will pass to you upon our delivery to the carrier. The failure of RIPPEDience to partially or fully exercise any rights or the waiver of RIPPEDience of any breach of these Terms and Conditions by you shall not prevent a subsequent exercise of such right by RIPPEDience or be deemed a waiver by RIPPEDience of any subsequent breach by you of the same or any other term of these Terms. The rights and remedies of RIPPEDience under these Terms and any other applicable agreement between you and RIPPEDience shall be cumulative, and the exercise of any such right or remedy shall not limit RIPPEDience’s right to exercise any other right or remedy. Any dispute relating in any way to your visit to, or use of, the Site or the App, to the products you purchase through the Site or the App (including a subscription), or to your relationship to RIPPEDience shall be submitted to confidential arbitration in Orange County, California; provided, however, that to the extent that you have in any manner violated or threatened to violate our intellectual property rights, we may seek injunctive or other appropriate relief in any state or federal court in the State of California. You hereby consent to, and waive all defenses of lack of personal jurisdiction and forum non conveniens with respect to, venue and jurisdiction in the state and federal courts of California. Arbitration under these Terms will be conducted pursuant to the Commercial Arbitration Rules then prevailing at the American Arbitration Association. The arbitrator’s award will be final and binding and may be entered into as a judgment in any court of competent jurisdiction. To the fullest extent permitted by applicable law, no arbitration under these Terms will be joined to an arbitration involving any other party subject to this Terms, whether through class action proceedings or otherwise. You agree that regardless of any statute or law to the contrary, any claim or cause of action arising out of, related to or connected with the use of this Site or the App or these Terms must be filed within one (1) year after such claim of action arose or be forever banned. YOU AND RIPPEDIENCE AGREE THAT EACH MAY ONLY BRING CLAIMS AGAINST THE OTHER ONLY IN YOUR OR ITS INDIVIDUAL CAPACITY, AND NOT AS A PLAINTIFF OR CLASS MEMBER IN ANY PURPORTED CLASS OR REPRESENTATIVE PROCEEDING. Further, unless both you and RIPPEDience agree otherwise, the arbitrator may not consolidate more than one person’s claims with your claims, and may not otherwise preside over any form of a representative or class proceeding. The arbitrator may award declaratory or injunctive relief only in favor of the individual party seeking relief and only to the extent necessary to provide relief warranted by that party’s individual claim. Questions: Should you have any questions regarding these Terms you may contact us at info@rippedience.com.